Did you know that you can buy Duck Tape at Walmart? Right now, you will find a display in the Back to School section of the store and one in the hardware section near the spray paint and wood stains. 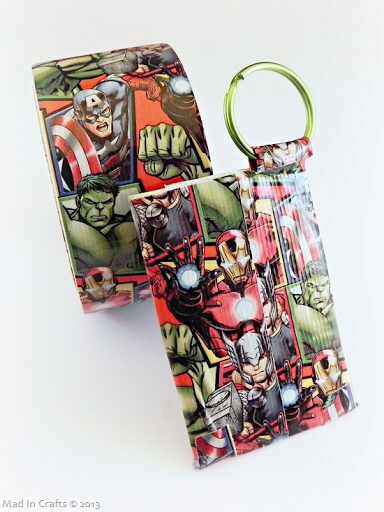 Because it is both strong and decorative, Duck Tape® is fantastic for making or embellishing school supplies. You can let your child express his personality and know the tape is rugged enough to stand up to the punishment school supplies inevitably receive. 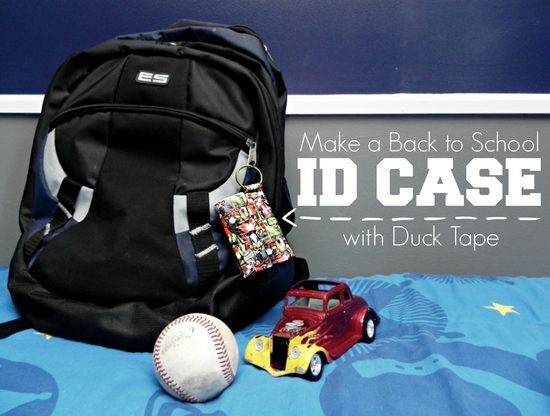 When challenged to created a back to school project using Duck Tape®, I chose to make a simple case for a student ID that could be clipped to a backpack of lanyard for safe keeping. 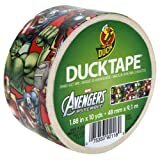 After debating between Marvel Superheros and Mario Bros., I ended up choosing this tape because my son is HUGE into superheroes right now. And I think The Avengers are pretty cool myself. The ID case has a transparent side so the student’s ID is visible without having to be removed from the case (and dropped and lost…). 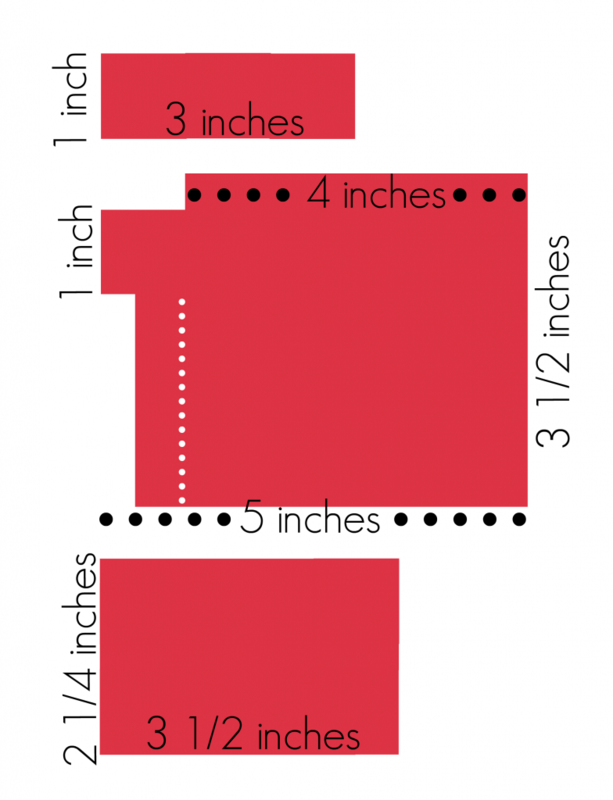 If you are creating an ID case to accomodate a typical ID card size (3 1/4″ x 2 1/8″), you will need to create three Duck Tape® shapes according to the size chart above. You also need to cut a rectangle of clear plastic that is 3 1/2″ x 2 1/4″. I cut my rectangle out of the lid of a plastic container. Check your recycling bin for something suitable. Since this is a project that is much easier to recreate following visual directions, I created a little video for you to walk you through the process. 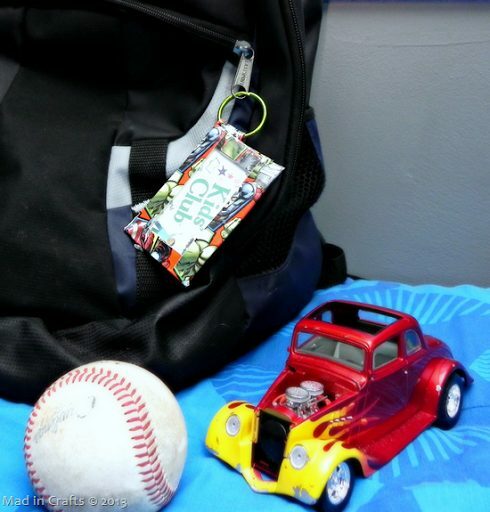 You can easily attach the case to your child’s backpack to ensure he always has it with him at school. 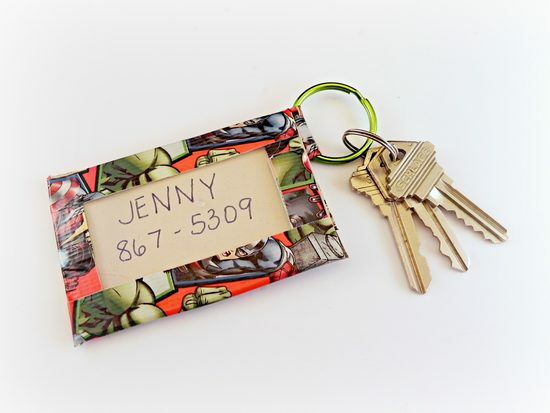 The keychain can also be linked to a set of keys or a lanyard, if needs be. 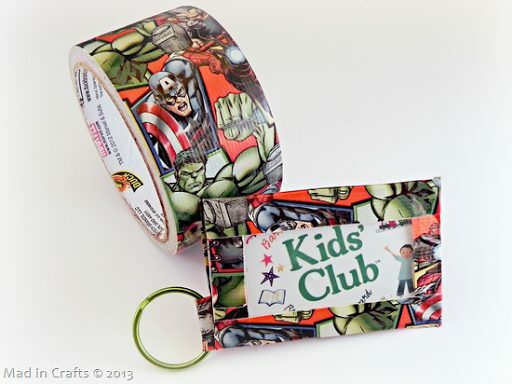 The case would also protect your student’s bus pass or library card. Or you can use it like a luggage tag to keep her backpack or keys from going missing. 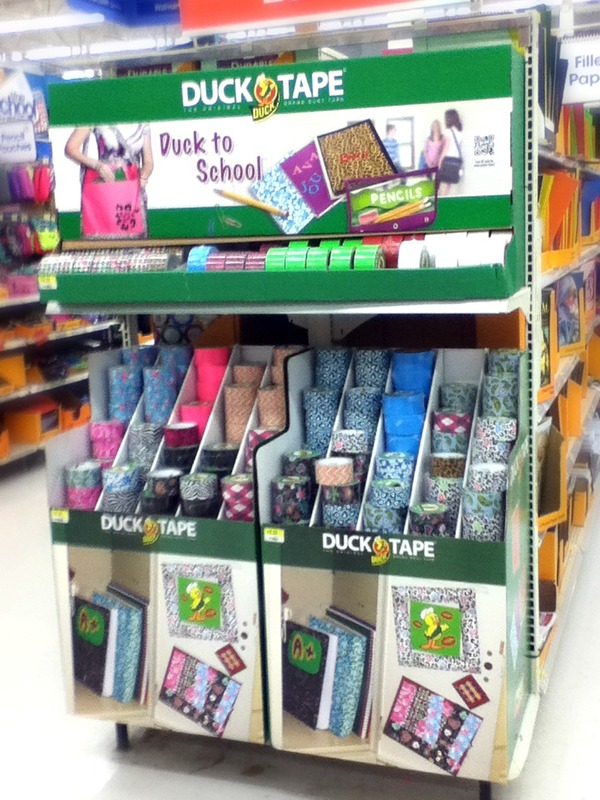 If you are looking for more back to school ideas using Duck Tape®, be sure to follow Duck Brand® on Twitter! You might be able to make those back to school projects for FREE with the help of a $100 Walmart gift card courtesy of The Duck Brand®. Just enter using the rafflecopter widget below.